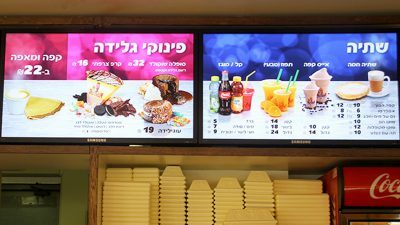 Visualed has been selected to define and implement creative display solutions for two of the Deli-Cream branches in Rishon Leziyon and Holon, Israel. The project included the installation of a “living and breathing” ticker display which contains six 48-inch synchronized high-brightness screens, allowing every customer to be engaged with an outstanding digital menu. 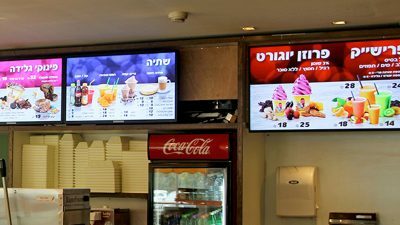 Before the introduction of digital screens, changing menu content involved traditional print solutions, which cost a lot of resources and time. The transition from print to digital will spell the difference between a functional business and a thriving one. 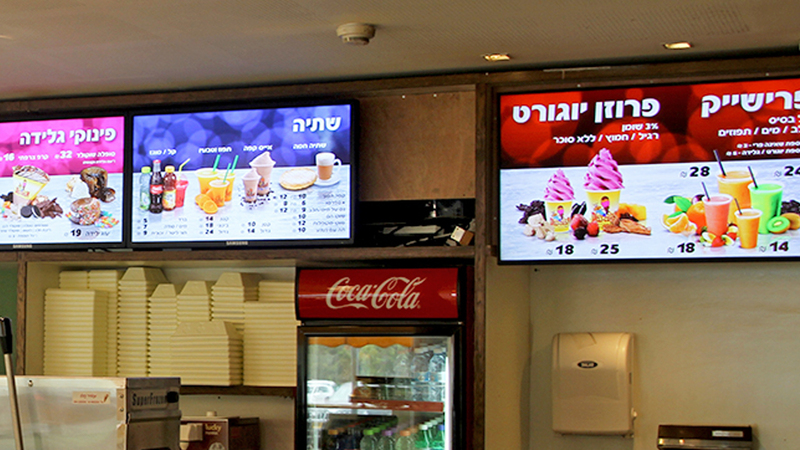 The applied solution for this project was a digital and dynamic menu, which allows the customers to read the menu without difficulty, increasing customers’ retention and store sales. 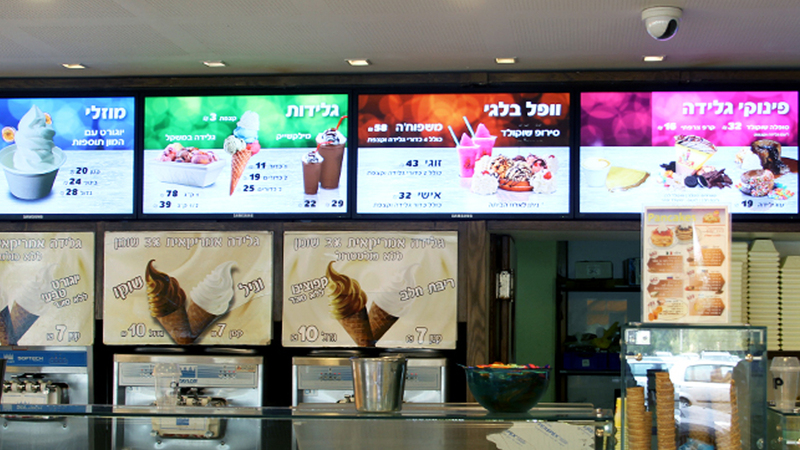 The design allows the screens to be combined or used individually. This flexibility, along with the use of playful animation, draws customers into the Deli Cream counter.